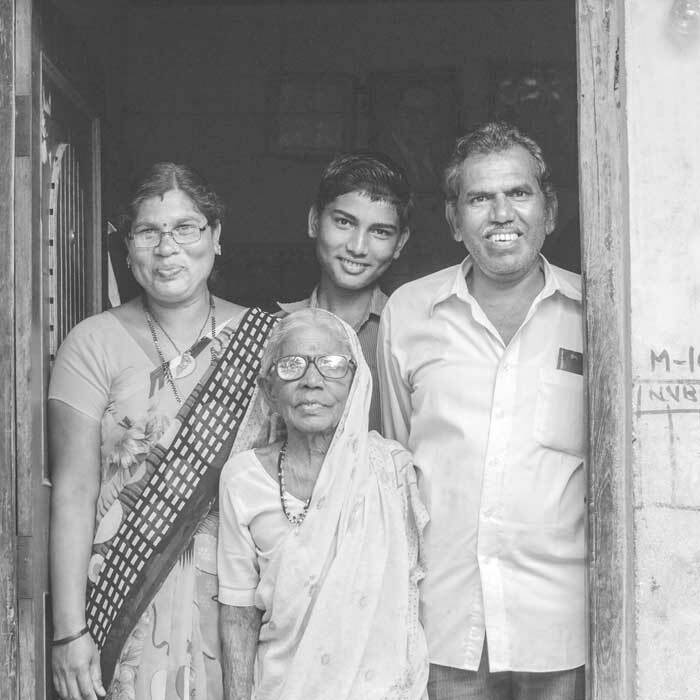 NHB owns 9.68% stake in Mahindra Rural Housing Finance Ltd.
We are a subsidiary of Mahindra and Mahindra Financial Services Ltd.
MMFSL holds an 88.75% stake in Mahindra Rural Housing Finance Ltd.
Maharashtra – 400 018, India. 570, P.B. Marg, Worli, Mumbai – 400 018, India. Mr. Ramesh Iyer is the Chairman and Managing Director of Mahindra & Mahindra Financial Services Limited (the Holding Company) and is associated with the Company since inception. He comes with a wealth of experience in the matters relating to business development, finance and marketing. Mr. Ramesh Iyer is also a member of the Group Executive Board of Mahindra & Mahindra Limited, the ultimate holding company, and is also on the Board of various Mahindra Group companies. He holds a Bachelor's Degree in Commerce and a Master’s Degree in Business Administration. Mr. Ramesh Iyer holds memberships in various Committees in the Industry like Confederation of Indian Industry (CII), Federation of Indian Chambers of Commerce and Industry (FICCI), Bombay Chamber of Commerce and Industry (BCCI), Finance Industry Development Council (FIDC) and IMC Chamber of Commerce and Industry. He has been recently appointed on the Board of Advisors of Vidyalankar Institute Of Technology – School Of Management. Mr. Ramesh Iyer has had an illustrious career marked by numerous awards and accolades. Mr. Ramesh Iyer has had an illustrious career marked by numerous awards and accolades. He has received the prestigious Asia Pacific Entrepreneurship Award (APEA) 2017 INDIA in the year 2017. He has received 2 awards in the category ‘CEO of the Year’ & ‘Most Admired Rural Entrepreneur of the Year Award’ at The Rural Marketing Forum and Awards, conducted by CMO Asia, received an award in the category ‘CEO – FINANCIAL SERVICES’ at the CEO Awards 2015 organised by CEO India magazine and also received an award “Business Leadership Award” by Indian Achievers Forum in the year 2015. He has received an award as one of the finalists for “The Outstanding CEO Category” by CEO India Magazine, Delhi in the year 2014. He has also received an award - Hall of Fame: 2014 IMM – JJ Awards for Excellence: Best CEO by the Institute of Marketing & Management (IMM), Delhi in the year 2014. He has also won as one of the 16 finalists for the prestigious 15th EY Entrepreneur of the Year (EOY) Awards 2013. He has won the Indian Achievers Award for Corporate Leadership by Indian Achievers Forum. He has won the Indian Achievers Award for Corporate Leadership by Indian Achievers Forum. He was also conferred the Business Leadership Award by the Institute of Economic Studies, New Delhi. His leadership was lauded with the ‘CEO with HR Orientation' Award by Employer Branding Institute, CMO Asia, with their Strategic Partner CMO Council. In addition, he has also received the Udyog Rattan Award by the Institute of Economic Studies, New Delhi; the Rashtriya Udyog Pratibha Award by the Council for Economic Growth & Research, Pune and the Bhartiya Udyog Ratna Award by the National Education & Human Resource Development Organisation, Mumbai. Mr. Ramesh Iyer has also featured in Business World's special report on India's Most 'Valuable' CEOs. He was ranked no. 5 out of 65 in the list of Mid-Sized Companies (Revenues: Rs. 1,000 – 3,000 cr.) category and at no. 6 out of 65 in the same category, based on its One-Year Performance. He was also ranked no. 20 out of 100, based on the company's Five Year Performance and no. 3 out of 12, based on the rankings in the Financial Sector. Mrs. Anjali Raina holds an MBA from the Indian Institute of Management, Calcutta, a Bachelor's degree (Eng. Hons) from Loreto College and is an alumnus of Harvard Business School having completed the Advanced Management Program. 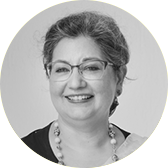 Presently, Mrs. Raina is the Executive Director of the Harvard Business School India Research Centre (HBS IRC). Prior to joining HBS IRC, Mrs. Raina spent 15 years with Citigroup India, most recently as Country Director, before which she worked for more than a decade with ANZ Grindlays Bank Plc. Anjali has co-authored several case studies such as Aadhaar: India’s ‘Unique Identification’ System, Team Lease: Putting India to Work (II) Legally; Pratham – Every Child in School and Learning Well; Naina Lal Kidwai: Investing in Her Country; Tech Mahindra and the Acquisition of Satyam Computers (A); HN Agri Serve : Growing Prosperity; Godrej Agrovet Ltd (GAVL); Taj Hotels : Leading Change, Driving Profitability (A & B); Magic Bus : From Childhood to Livelihood as well as an HBR Article on The Ordinary Heroes of the Taj. With Mrs. Raina’s guidance the IRC has run over 51 executive education programs for over 2848 business leaders on subjects ranging from Globalizing Indian enterprises, to Agri-business and held 232 events covering over 14546 leaders. Mr. K. Chandrasekar is Executive Vice President- F&A, Mahindra & Mahindra Limited. He has been with Mahindra & Mahindra Limited since October 1997 and has been associated with domestic and international initiatives of the Group over the last 2 decades. Mr. K. Chandrasekar holds a Master’s degree in Arts from University of Madras and is also a Certified Associate of the Indian Institute of Bankers. 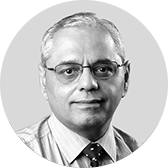 He has over 38 years of work experience in Banking, Treasury, Corporate Finance and Investor Relations. He is on the Economics Subject Board of K J Somaiya Institute of Management Studies & Research, Mumbai for the academic year 2017-2018. He has previously been associated with the State Bank of India. He has been conferred CFO India award for Treasury, Finance Practice & Risk management in 2012, 2013 and 2014. He is also a recipient of the Adam Smith Award for Best Financing Solution – Asia 2014, by Treasury Today. He is on several Boards of Mahindra & Mahindra group companies and on Group Risk Management Council, Sustainability Council and is the Chairman of MLU - Finance Academy. Mr. V. Ravi is the Executive Director & Chief Financial Officer of Mahindra & Mahindra Financial Services Limited (Holding Company). 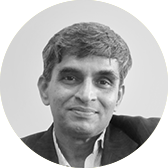 Mr. V. Ravi has been associated with the Company since its inception. Mr. V. Ravi is also on the Board of various other Mahindra Group Companies. Mr. V. Ravi has served with Mahindra Ugine Steel Company (MUSCO) for 9 years in Treasury, Finance and Diversifiction Projects prior to his induction in Mahindra & Mahindra Financial Services Limited. Mr. V. Ravi holds membership in various industry committees like Federation of Indian Chambers of Commerce and Industry (FICCI), Bombay Chamber of Commerce and Industry (BCCI) and Finance Industry Development Council (FIDC). He has also been a member of the Asia Council of the Conference Board, USA and the Informal Advisory Group of the Reserve Bank of India. Mr. V. Ravi is a Chartered Accountant and a Cost Accountant. Mr. V. Ravi is a Chartered Accountant and a Cost Accountant. He has completed long duration Global Managers Program from IIM, Calcutta. Mr. Ravi has also attended the Breakthrough Program for Senior Executives from International Institute for Management Development (IMD), Switzerland. Mr. Ravi has also undergone Mahindra Universe Program at Harvard Business School, USA. Mr. V. Ravi has been the recipient of numerous awards and accolades. Mr. V. Ravi has been the recipient of numerous awards and accolades. He received “CFO of the year Award” by International Assessment India Pvt. Ltd. in the year 2010. He also received “CFO – Financial Service Sector” by The Institute Of Chartered Accountants of India in the year 2011. He won “Best CFO Award” by the Asian Confederation of Businesses supported by Stars of the Industry Group in Association with Thought Leaders International in the year 2012. He also won an award in “The Ninth India CFO Awards in the category – Use of Technology” by IMA in the year 2013. He was also conferred with the “Best CFO Award” by the IPE BFSI Awards endorsed by the Asian Confederation of Business in the year 2013. He also won “CFO100 Roll Of Honour 2014” award in the category - ‘Winning Edge in Raising Capital/Fund Management – Revenues above Rs 1000 Crores’ in the year 2014. He also won the “CFO100 League Of Excellence 2015” award by CFO 100 in the year 2015, Most Influential CFOs of India” award given by Chartered Institute of Management Accountants” in the year 2015 and “100 Most Influential CFO’s of India” award given by Chartered Institute of Management Accountants (CIMA) in the year 2016. 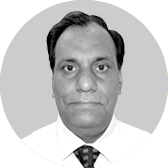 Mr Awasthi is a Chartered Accountant of 1987 and possesses the professional degrees of Company Secretary, Certified Associate of Indian Institute of Bankers (CAIIB), Certified Information System Auditor (CISA) of USA and a post graduate degree of Commerce (M Com from Lucknow University). 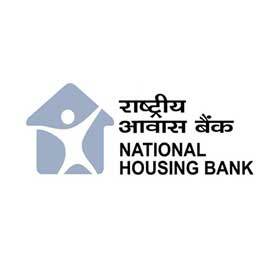 CA Rakesh Awasthi is working as Chief Financial Officer with National Housing Bank, New Delhi. He was working before as General Manager in Finance & Accounts, Corporate Banking, International Banking and Internal Audit Groups of IDBI Bank Ltd., Mumbai. He has been Nominee Director on the Board of Polyplex Corporation Ltd., Jayaswal Neco Industries Ltd., Prescision Fastners Ltd and Vaid Elastmers Ltd in the past. 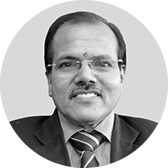 Mr. Awasthi has working experience of more than 33 years in the field of Banking, Finance, Accounts, Audit and Taxation with the Companies engaged in Construction, Manufacturing, Seed Processing and Banking Sector. He has been working with IDBI Bank, HO, Mumbai, for 20 years. Mr. Awasthi has been awarded with CA Professional Achiever Award of 2014 by the Institute of Chartered Accountants of India, in a programme at Mumbai held on February 01, 2015. Mr Awasthi has been a Sub Group member of the Committee of WIRC of ICAI on Banking, Insurance and Pension for the year 2015-2016. Mr. Nityanath Ghanekar is a fellow member of the Institute of Chartered Accountants of India and a Law graduate from Mumbai University. He has also completed a diploma in Management from Mumbai University. He was a Partner with Lovelock & Lewes, PricewaterhouseCoopers and Ernst & Young till 2007. He was the Managing Director of JM Financial Asset Management Private Limited till 30th June, 2009. As a partner of global accounting firms, he has extensive well rounded experience of more than three decades in various areas like Finance, Assurance, Regulators, Advisory and Taxation. He has advised corporates across the industries like Telecom, Insurance, Information Technology, Automobiles, FMCG, Pharmaceutical and NBFC on Inbound and Outbound investments, establishment of Joint Ventures, Mergers/ Demergers/ Acquisitions and Business Re-organizations, due diligences etc. 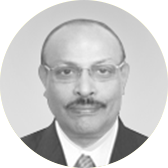 Dr. Narendra Mairpady is a Certified Associate of the Indian Institute of Bankers and has a Bachelor’s Degree in Commerce. 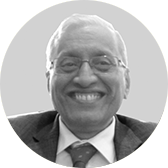 Having 39 years of banking experience, Dr. M. Narendra joined Corporation Bank as an officer trainee in 1975. He took over as Executive Director, Bank of India, on 6th November 2008 and was Chairman and Managing Director of Indian Overseas Bank from 1st November, 2010 till 31st July, 2014. Dr. Narendra has been one of the key members of the Teams to implement Organisational Transformation Projects in both Corporation Bank and Bank of India. Dr. Narendra has travelled widely both within the country and outside. Dr. Narendra has travelled widely both within the country and outside. He has undergone various training programmes including workshops/seminars at BTC, IIM-Ahmedabad and Bangalore, NIBM and Australian Institute of Banking & Finance. Dr. Narendra secured various Corporate Awards instituted by Corporation Bank such as Chairman’s Club Membership recipient for 8 consecutive years from 1984-85 to 1990-91, SoGian Award and Regional Leadership Award. He was a member of Technical Advisory Committee on Money, Foreign Exchange & Government Securities Market constituted by Reserve Bank of India. He was Chairman, IBA’s Legal & Banking Operations Committee, Chairman, IBA Standing Committee on Accounting Standards and Taxation and a member of Standing Committee on Risk Management & Basel II Implementation constituted by the Indian Banks Association. Mr. Anuj Mehra is currently the Managing Director of the Company. Mr. Anuj Mehra is a Bachelor of Economics from Delhi University and has completed post graduation in management from Indian Institute of Management, Ahmedabad. 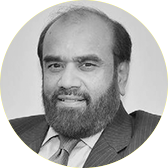 He has a rich and varied experience of around 35 years in the areas of Sales, Marketing, Finance and General Management across different industries like FMCG, Financial Services, Banking, Pharmaceutical and Real Estate.